Clambakes don’t translate well to the oven—take away the beach, the sandpit, the layers of seaweed and the smoky hardwood fire, and all you’ve got left is some steamed seafood. 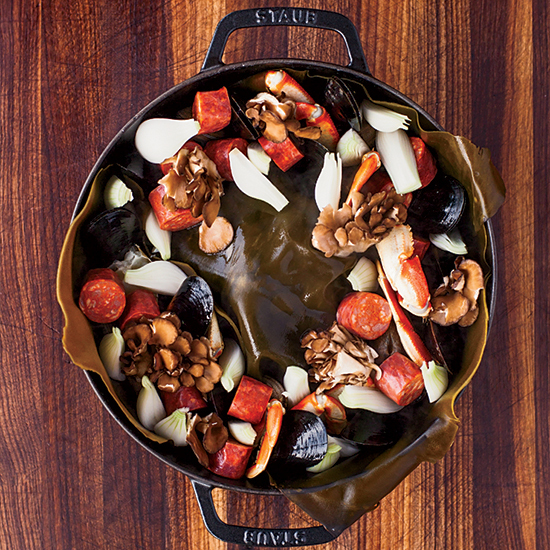 So to capture the authentic flavors of the real deal, ChefSteps created a recipe using a cast-iron casserole, Japanese kombu, charred wood chips and a hefty rock. 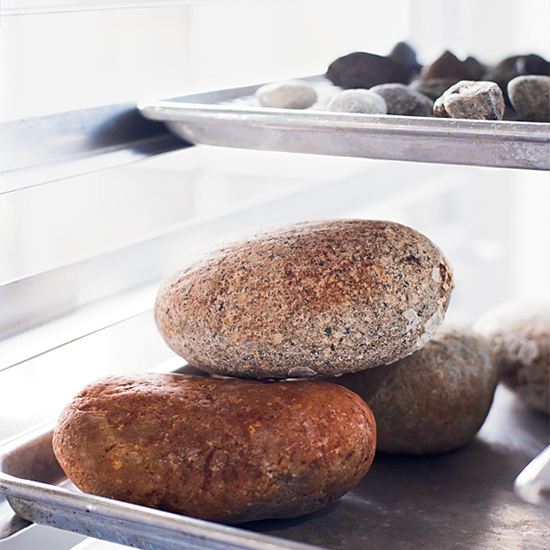 Dry rocks thoroughly in the oven, then bake them until hot. 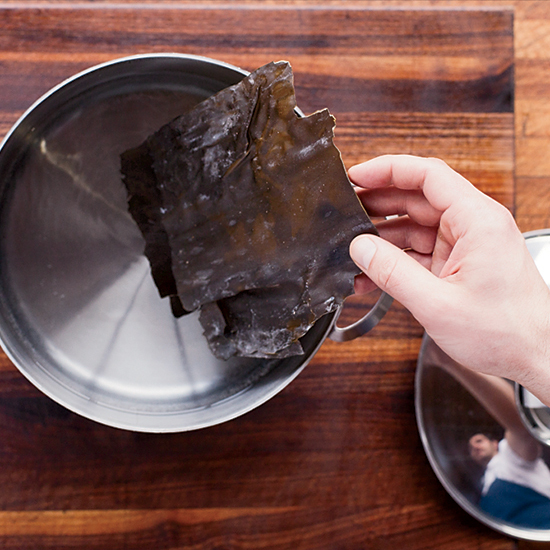 In a large pot of hot water, soak kombu until rehydrated and pliable. 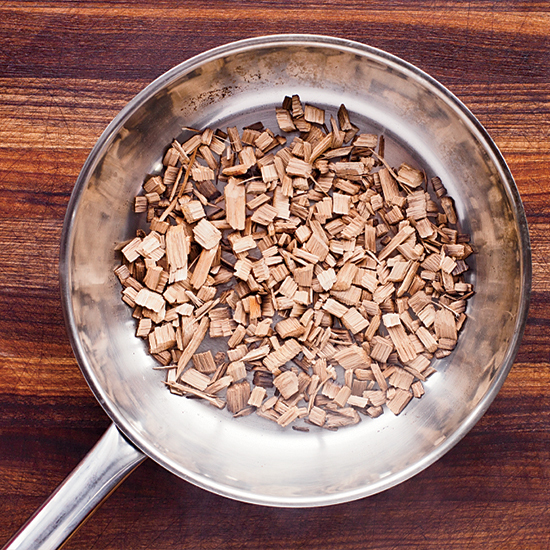 Roast small wood chips in a heavy skillet over high heat until smoking. 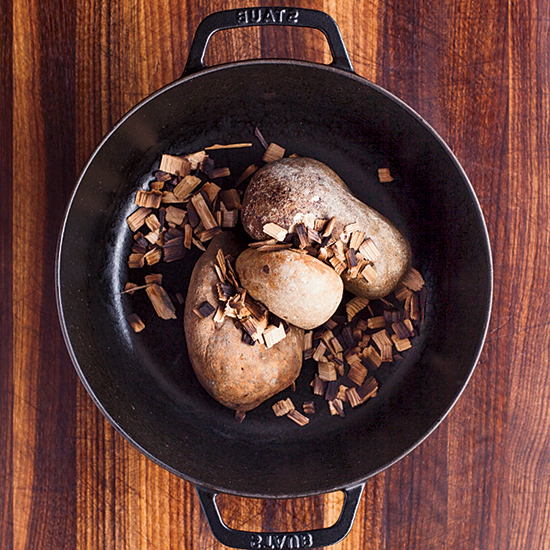 In a casserole, scatter the wood chips over the rocks, then top with kombu. Add the seafood, chorizo, onions and mushrooms and bake. 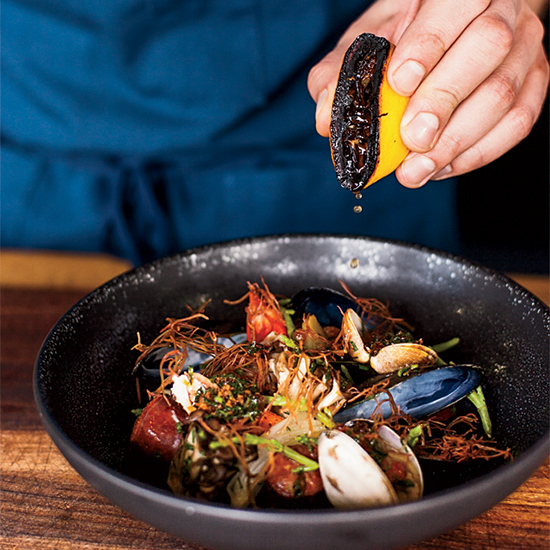 For extra flavor, squeeze charred lemon over the clambake.